Publish your drop shipping items to eBay faster with DSM Tool Rapid Lister. Algopix’s comprehensive platform offers real-time eBay data and product insight tools to help you effectively position your products in the marketplace. 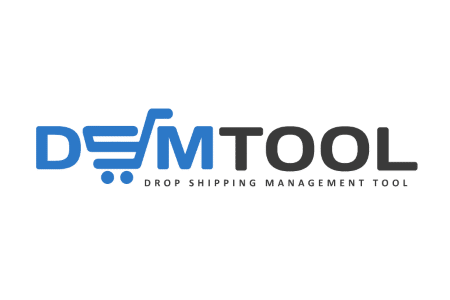 DSM Tool was created in 2016 by dropshippers for dropshippers and is now used by over 6,000 active eBay sellers. Dropshipping allows you to offer new products without actually having to buy stock. Instead, the order is passed to the supplier who will then send the product to the customer. This risk-free and inexpensive approach to online selling provides not only an easy way to start your own business but also offers you as an experienced online seller with the ability to test new products and expand your product range. While Algopix takes the guesswork out of what and where to sell out of your hands, DSM Tool’s dropshipping management platform allows you to streamline your dropshipping efforts on eBay. The DSM Tool App allows you to quickly add products from various vendors to your dropshipping portfolio on eBay. DSM Tool for Amazon lets you directly import products from Amazon and AliExpress in five international marketplaces including Amazon US, Amazon UK, Amazon Germany, Amazon France and Amazon Canada. For the US market, it further supports marketplaces like Walmart and Sears. It then assists you throughout the sales process with helpful features like the eBay listing templates, title optimization, automatic repricing, order automation, and even an integrated CRM system to help you keep in touch with your customers. With DSM Tool’s product sources on Amazon and the listing destination on eBay, DSM Tool perfectly matches Algopix’s supported product markets. This allows Algopix users to leverage their benefits from DSM Tool for eBay and for Amazon in a couple of ways. On the one hand, Algopix provides market insights for seven Amazon and seven eBay marketplaces worldwide, covering all of the marketplaces DSM Tool supports. This allows you to conduct in-depth product market research for every product that you consider dropshipping. Running an extensive Algopix market search will allow you to compare Amazon marketplaces to identify the lowest price for sourcing a product, and then determine eBay’s marketplace which yields the highest profit for a given product. With this information, you can make clear, data-based decisions of where and when to sell a product, and with the DSM Tool, moving from a decision to actually selling is only one step away. On the other hand, DSM Tool complements the data Algopix provides. Algopix’s insights lay the foundation for business decisions that will help you source only successful products, thus increasing sales. DSM Tool further delivers live statistics and store performance analysis so you can verify your past decisions, see what decisions to rethink, and identify business areas that need more attention.